Remote Desktop Manager is an all-in-one remote connection management solution that lets you centralize all your remote connections, passwords and credentials into a unique platform that can be securely shared between users. Drive security, speed and productivity through your organization while reducing risks for your IT department. Join over 300 000 users in more than 130 countries who enjoy our remote connection management solution. Remote Desktop Manager is available in two editions: Free and Enterprise. While the Free edition is perfect for stand-alone users, the Enterprise edition is best suited for multiple users and teams. You can compare both editions by exploring the comparison chart. 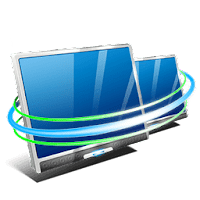 Disclaimer: Direct downloads for the lastest version of Remote Desktop Manager for Mac 4.5.0.0 are provided by the official software's author, we can't guarantee safety, availability or download speed. Moreover, we don't and we won't provide any pirated/illegal versions or tools. We recommend you to avoid it as these methods can harm your device. If you like the software, buy it to support the developers. (We provide software discounts for many worldwide brands).